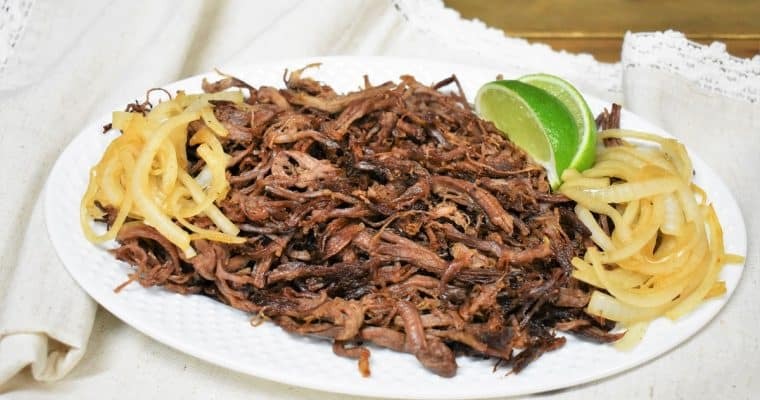 Vaca Frita is shredded beef that’s quickly fried in a little bit of oil to create a crispy crust. 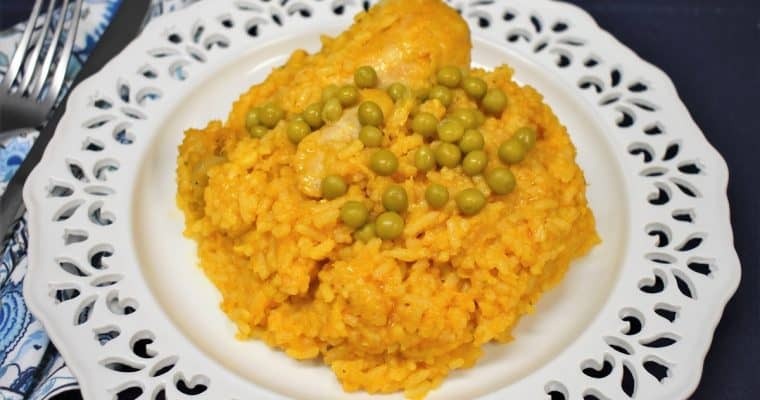 It’s a popular Cuban dish that’s really easy to make and absolutely delicious. Serve the vaca frita with white rice and black beans for a traditional Cuban meal your family will love. This creamy vegetable soup recipe is a snap to make and delicious. There is no cream used in this “creamy” soup. Instead we get a creamy texture by pureeing the soup. 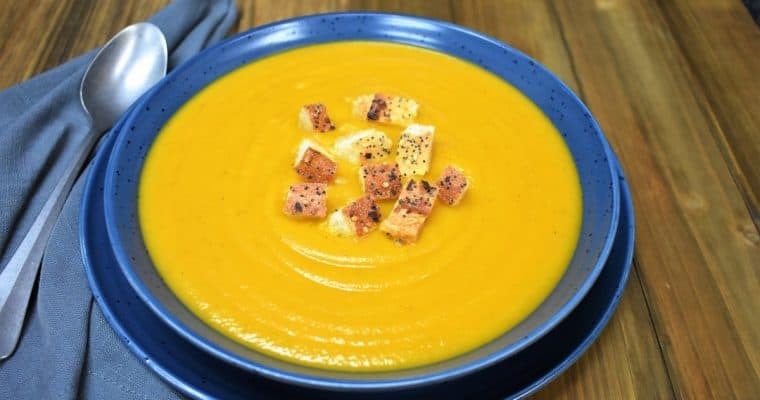 Loaded with carrots, celery, onions, pumpkin, zucchini, potatoes, sweet potatoes and plenty of garlic, this soup is satisfying, without weighing you down. These grilled potatoes make a great side dish for summer cook-outs. Why stay inside cooking potatoes while everyone is enjoying the great outdoors? 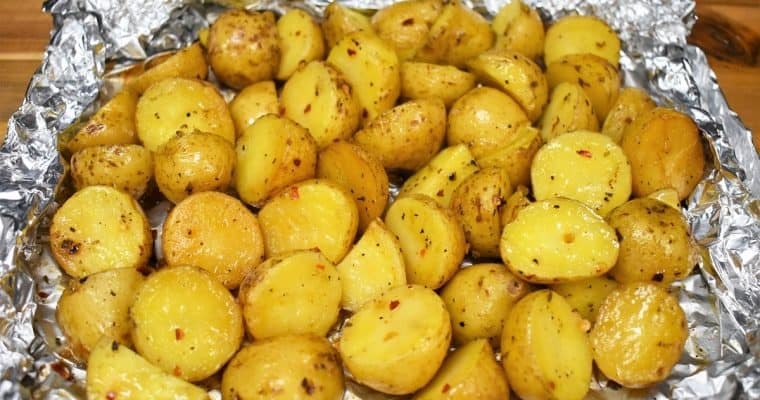 Instead, wrap these little, seasoned potatoes in a foil pack and set them on the grill too. 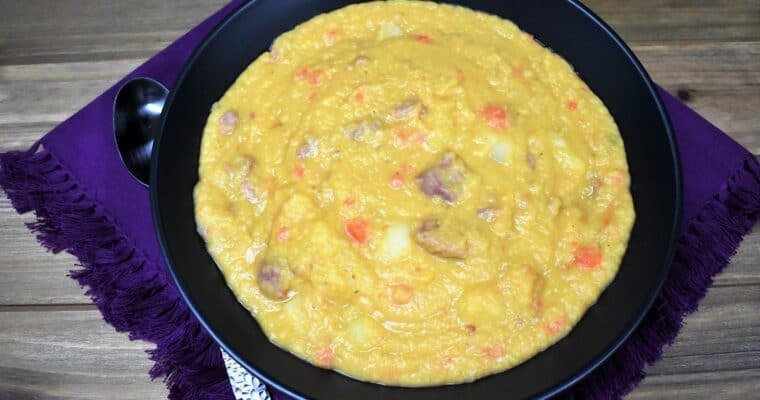 In this recipe we used small honey gold potatoes. They have a smooth texture, really thin skin and just a tiny hint of sweetness to them. 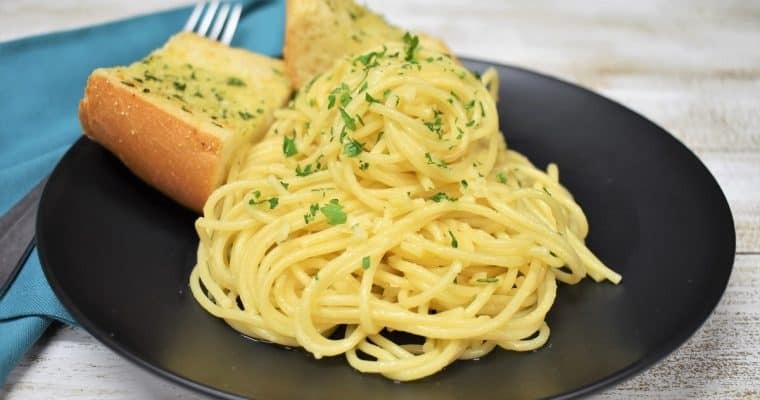 Spaghetti aglio e olio is the perfect meal when you’re low on time, money and energy. It’s a delicious dinner that comes together quickly, with just a handful of affordable ingredients. In this dish, minced, or thinly sliced garlic, is sautéed gently in olive oil until fragrant. Then the garlic oil is tossed with pasta, seasoned with a little salt, and that is it. This homemade margarita is our absolute favorite. With just a handful of ingredients you’ll be on your way to Happy Hour! This margarita is simple to make. Tequila, orange liquor and a simple syrup lemon-lime mix is all it takes. A salt rimmed glass and lots of ice finish off this classic cocktail! This lentil sausage soup makes a hearty, delicious dinner. 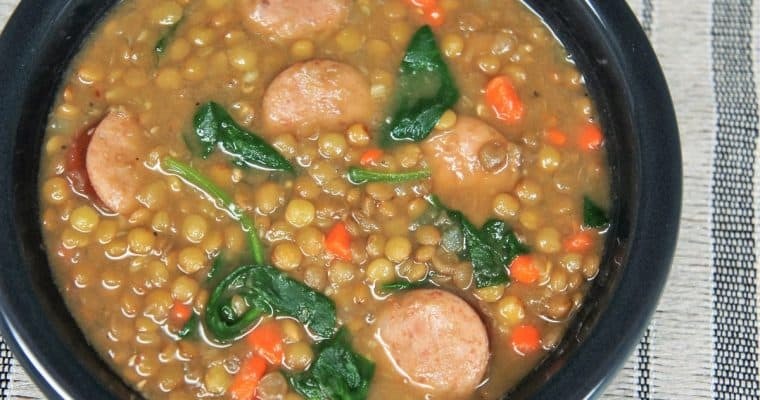 In this recipe, lentils, sausage and vegetables are cooked in a flavorful broth. For the sausage, use smoked or polka kielbasa, the fully cooked variety. They will flavor this lentil soup beautifully, so we can keep the ingredients list short and simple. This is an easy and delicious mahi mahi recipe, where the fish is the star. 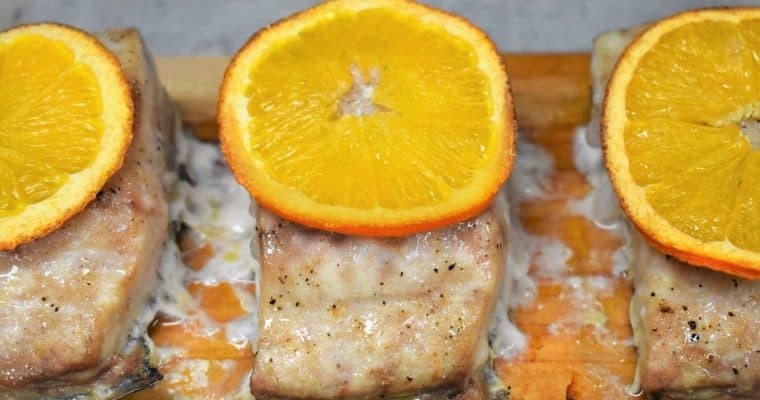 Here, the mahi-mahi gets flavor from the cedar plank on the bottom and from the sweet orange slices that are placed on top. We keep the seasoning really simple, to not distract from the mild mahi mahi flavor. Welcome to Cook2eatwell. I'm Elizabeth and food is my favorite subject. I like to cook food, talk about food, write about food, and most importantly, eat food. Lucky for me, my husband Eddie feels the same way! 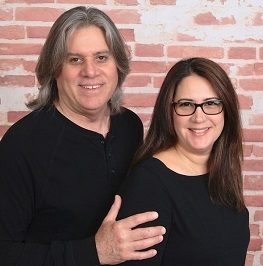 We share our passion for food with you here – on Cook2eatwell.